If Cambodia passes a law to regulate NGO activity, what influence will it have on the work of land rights activists? 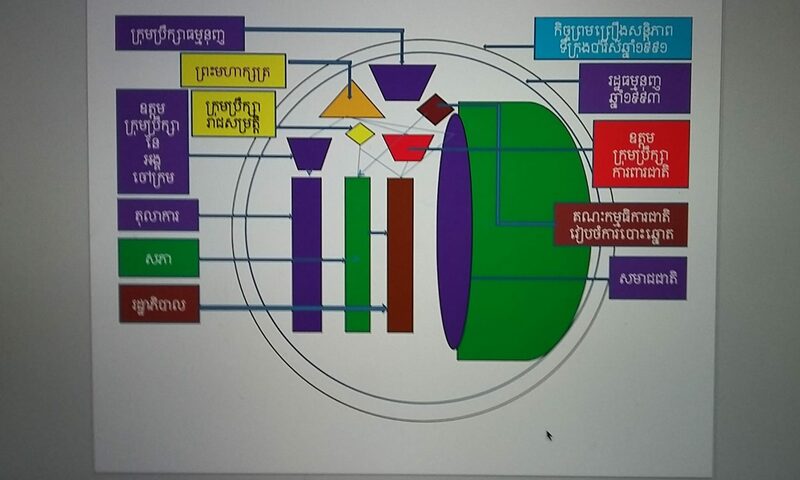 Cambodia’s Council of Ministers recently released a third draft of the Law on Associations and Non-Governmental Organisations (LANGO) that would more tightly control the eligibility of civil society organisations and how they are run. Several NGOs have spoken out against the proposed law, saying that it would give the government too much authority over their work. “If the law is passed in its current form, everyone will lose out, from civil society to investors with an eye on Cambodia, but, above all, the Cambodian people in whose name NGOs and associations work,” said Virak Ou, president of the Cambodian Center for Human Rights. LANGO requires all NGOs to register with the government but does not include an appeals process for denied applications. Without a guarantee of objectivity or an appeals process, some NGOs fear that they will be unjustly shut down. The Cambodian organisation, Sahmakum Teang Tnaut (STT), which supported land rights protesters, received a government letter to suspend its activities on ambiguous terms. In a joint statement, 130 NGOs claimed the suspension lacked legal justification. They believe the government’s move was a symbol of increased efforts to block NGO activity so that land development projects of private and foreign companies can go ahead with greater ease. NGOs play an integral role in educating civil society of their rights. As Cambodia launches more controversial development programs, land rights disputes and forced evictions are on the rise. Many human rights NGOs are working with citizens to launch campaigns to remain on their land and to protect their livelihood. In a recent land rights protest, people from the Prey Lang Forest dawned leaf hats and face paint to mirror the struggle of the characters from the movie Avatar, which tells the story of a group of forest people who are threatened by outsiders seeking to exploit their land for natural resources. 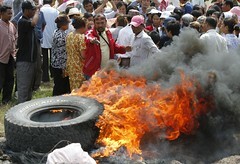 They were protesting upcoming development projects that would destroy the livelihood of more than 700,000 Cambodians. Demonstrations have been ongoing since May. Last week more than 100 villagers were detained in Phnom Penh for distributing protest flyers. According to environmentalists, Prey Lang supports all of the country as a primary watershed that regulates water flow and is a breeding ground for fish and wildlife. Proposed agro-industrial plantations, mines and hydroelectric dams would disrupt the fragile ecosystem and force tens of thousands out of their homes. Another land rights case involved a development project near Cambodia’s Boeng Kak Lake tourist area. The government had issued plans to turn the region in to an upscale shopping and apartment district, and since construction began in 2008, over 2,000 have been forced out of their homes and more than 10,000 face eviction. Earlier this month, Prime Minister Hun Sen, granted 1,000 families still living near the lake approximately 12 hectares of land on the development site. These are some of the social media elements featured in this episode of The Stream. This press release from 130 civil society and private sector groups condemns the government’s proposed law to arbitrarily suspend the work of NGOs. August 21, 2011 – We, representatives of the undersigned members of civil society and private sector groups, support national development that is equitable, inclusive, and sustainable. We believe national development should contribute not only to the growth of commerce and industry but also to the welfare of the wider population. Oppression of civil society groups surfaced most recently when protests began after the government evicted citizens from their land. The valuable land in Cambodia’s Prey Lang Forest was then leased to domestic and foreign businesses.